Hi! My name is Aspen! My mommy and those in my inner circle call me 'Pooh Bear'. 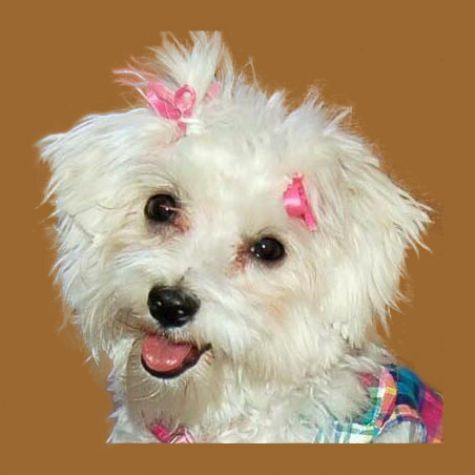 I am a Maltese, and I love to get plenty of attention and give kisses. My favorite activities include smelling flowers, doing tricks, getting applause, sleeping in, playing with my stuffed pig, and visiting the hospitals. I am most well known for my dancing and walking on my two back legs (and for just being adorable). The kids at the hospitals love my expressive personality and my stylish outfits.